This cobbler recipes collection is well suited for the inexperienced cook. Especially the cook who likes tasty pies but doesn't want to deal with the long difficult and confusing process of making homemade pies. If you don't know your way around the kitchen to well or are having problems making appealing and tasty baked goods, read on. Cobblers are very appealing for two reasons. First they're easy to prepare and they bake up quickly in no time. Second, you don't have to fool around with the tedious process of making homemade crust like you do with pies. Did I mention cobblers are so so delicious. I like to serve my cobblers straight from the oven with a few scoops of vanilla ice cream. I know it all sounds so good. With cobblers you get all the benefits. That's a tasty homemade dessert that's easy to prepare. You get a dessert that cooks up quickly in your oven. Here is the cobbler collection for your enjoyment. This delicious peach cobbler dessert will satisfy your cravings. The recipe is so simple that a kid could easily prepare this dessert. This black berry cobbler is quick and easy just like the apple, peach and blueberry cobblers you have become accustomed to. 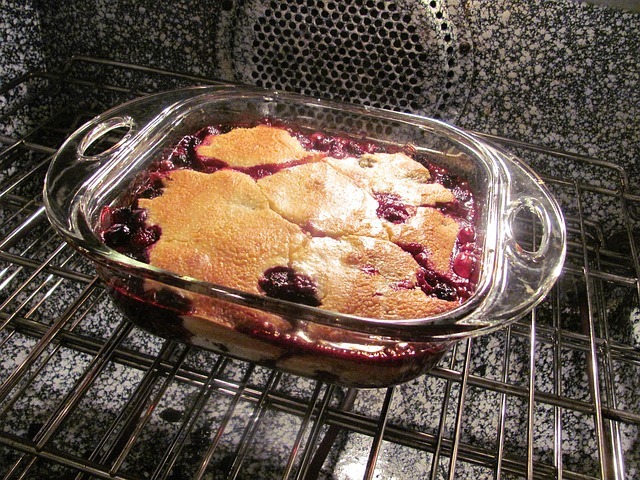 This fruit filled blue berry cobbler dessert is just like any other traditional cobbler recipe. Serve this delicious dessert warm with whipped cream or vanilla ice cream or just plain. Do not make the mistake of not trying all three recipes, because the all taste so so good. Trust me on this one add a little variety to your life and give all three cobbler desserts a try.